The early development of German football was hindered just as much by bad management and corporate dysfunction as it was by years of war. The German domestic league, which professionalized in 1964, decades after the other European powers, has grown, divided and evolved with all the pragmatism of a drunken football supporter. Ahead of the 1974 World Cup – where, famously, Germany pipped Holland in the final – a cohort of German players, led by Franz Beckenbauer, refused to play until the DFB (German Football Association) increased win bonuses. So much for typical German discipline. The ’74 team gets a bad rap because it beat a Holland side that played expansive, revolutionary football. This year’s German national team is different in a way that even the myopic public can easily understand. In 2012, the Germans are the revolutionaries. Germany’s best player, Mesut Ozil, is an impish creator, an incredibly un-German German. Ozil’s presence in the center of midfield — his nominal starting position — and in the wing areas he loves to drift into makes Germany stylish in attack. Most of his approach play is directed towards the team’s top scorer, one of the few Germans in the world with the surname Gomez. Not only does this Germany lose, but they lose with style. The team spent the last three tournaments entertaining fruitlessly, playing beautiful football before collapsing at an advanced stage, usually against Spain. When Giorgio Samaras equalized for Greece in Thursday’s quarterfinal, it almost seemed as though Germany had grasped the art of beautiful implosion, a technique Holland mastered in 1974. Ultimately, Samaras’ goal was only a footnote to Germany’s dominant performance, but the fact that Germany looked shaken, even if only for a second, hinted at an endearing vulnerability rarely associated with their football. Having dawdled aimlessly for most of the first hour, Germany were sparked into life by Samaras’ goal – first Khedira scored, then Klose, then Reus. Salpingidis’ late penalty failed to tarnish a sparkling half-hour. Loew articulates an alternative to the methodical possession that has dominated European football since 2008. If, as expected, Germany win Euro 2012, then their flexible, energetic approach will likely replace tiki-taka as the European vogue. It would be unfair to label the current crop of German footballers a “golden generation.” That would put them in the same category as renowned big-time bottlers like Frank Lampard, David Beckham and Rio Ferdinand, a distinction that not even the penalty-missing Bastian Schweinsteiger deserves. Moreover, there is an essential difference between the German team of 2012 and the English teams of 2004-06 — Sven Goran Erikson’s squads were comprised of overrated, over-indulged superstars; the German team is built around a core of players with something to prove, a young, hungry batch of footballers. Loew’s players are living refutations of stereotypes that were never true to begin with. Germany are slick and stylish; they seek to entertain, not to stultify. There’s no “Kaiser” on this team, just a collection of highly motivated individuals. And everyone gets a chance to play. Loew puts established names like Podolski, Muller and Klose on the same level as inexperienced youngsters like Andre Schurrle and Marco Reus, both starters against Greece. The result is a cohesive, relaxed and well-rested group, a squad equipped for the physical and emotional demands of extended tournament runs. Not many managers would have had the courage to change such a successful line-up. 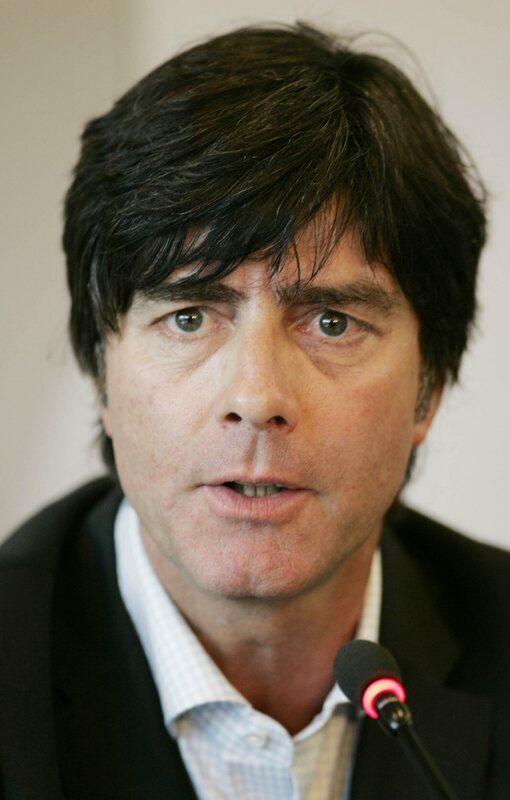 But like the unadventurous, efficient, uptight German he is, Loew did.